In August 2008, Russian President Vladimir Putin placed a large satellite-tracking collar around the neck of a tranquilized five-year-old Siberian tiger. The animal was released into the wild, joining some 500 others like him in the world. But that very tiger, whose name is Kuzya, has now left Putin's domain, according to alerts read from his satellite collar. 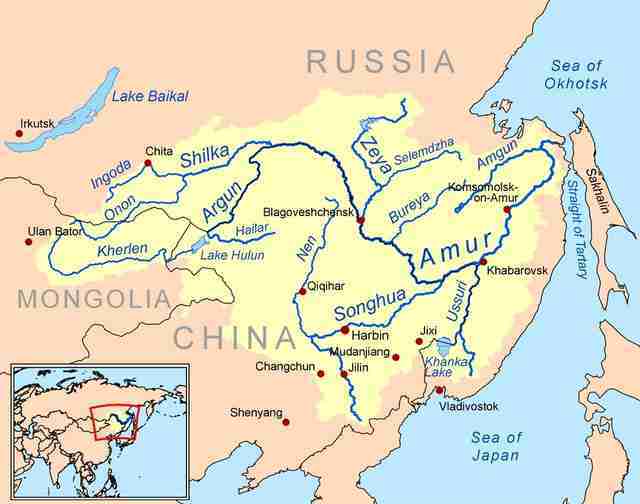 Chinese officials say that Kuzya crossed the Heilong River (called the Amur River in Russia) - the border between the two countries. Ecologists have told several Russian and Chinese news agencies that Kuzya was probably looking for more or better food, of course unaware that he was crossing country lines. "A Russian expert called us and told us the location [of the tiger] they have monitored. They asked us to protect it," Chen Zhigang, director of Taipinggou Natural Protection Zone in Heilongjiang's Luobei county, told China's Xinhua News Agency. Chinese officials have installed cameras and are tracking the tiger's movements by satellite, while also warning forest rangers to be on the lookout for their own safety. Luckily, Kuzya stumbled into a protected forest zone, where officials have released prey animals for him to eat. 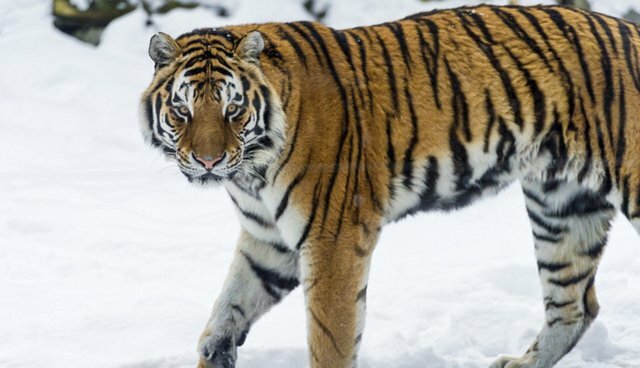 Kuzya's already breaking records - he's the first Siberian tiger ever in the area, though there are about 20 others living in Northeast China. Siberian tigers, also called Amur tigers, are among some of the most endangered animals in the world. Driven to the near-extinction by hunters in the early 1900s, the population has crawled back to recovery - though poachers and habitat destruction still pose major threats to its survival. The incident demonstrates the need for countries to collaborate across borders when it comes to wildlife protection - because animals clearly cannot know where one country ends and another begins. Happily for Kuzya, Chinese forestry officials have welcomed him on his international vacation.